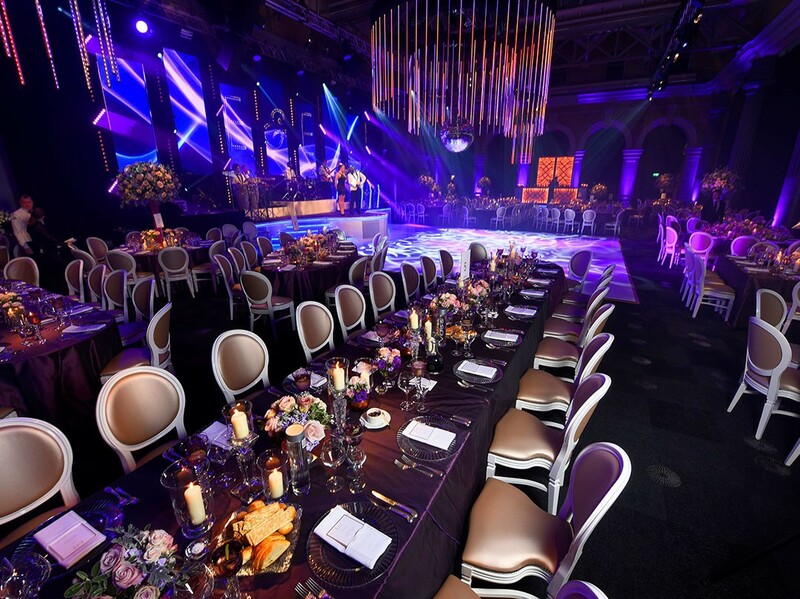 As loyal JustSeventy clients and part of our extended family, we were only too excited to work on the full planning for this glamorous wedding. 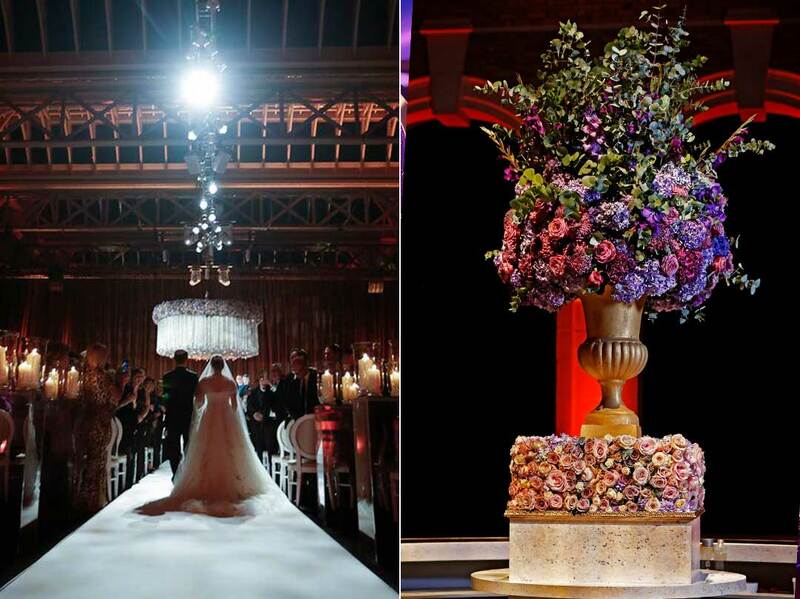 Known affectionately as royalty to us, this bride had clear ideas of what she wanted which were a reflection of her and her family’s exquisite tastes. The feel for the wedding being described as a “Big Show” and “Michael Bublé Concert” meant that we knew we needed to go BIG! This concept set our creative brains alight and led to the creation of a concert stage set in a phenomenal blank-canvas venue. 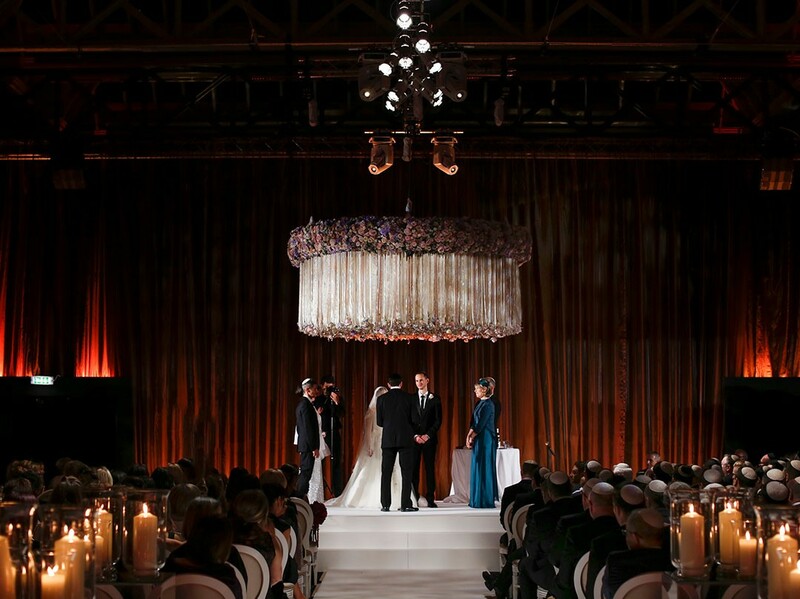 The chuppah ceremony was dramatically lit with romantic candlelight and gentle uplighting against a dark background. A clean, sleek and stylish white aisle lead to a stage with an incredible floating chuppah: a creation of ribbons and flowers suspended over the bride, groom and families. Always with creativity and innovation at the forefront of our designs, the best part of this chuppah was the way in which it was built on motors, meaning that we could later tilt the entire chuppah structure to create a wonderfully unique backdrop for the family photographs. 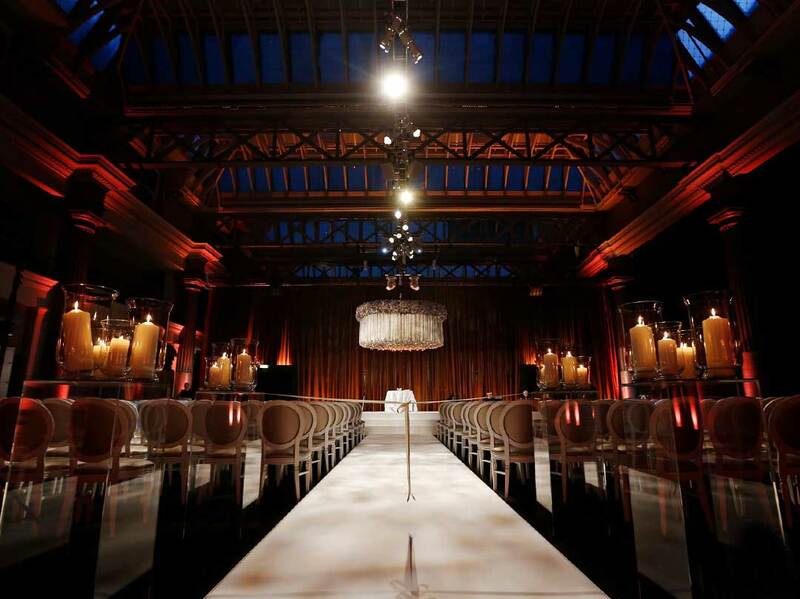 The guests were taken aback by such a stunning set up for the ceremony which was a truly magical and heart-warming occasion. 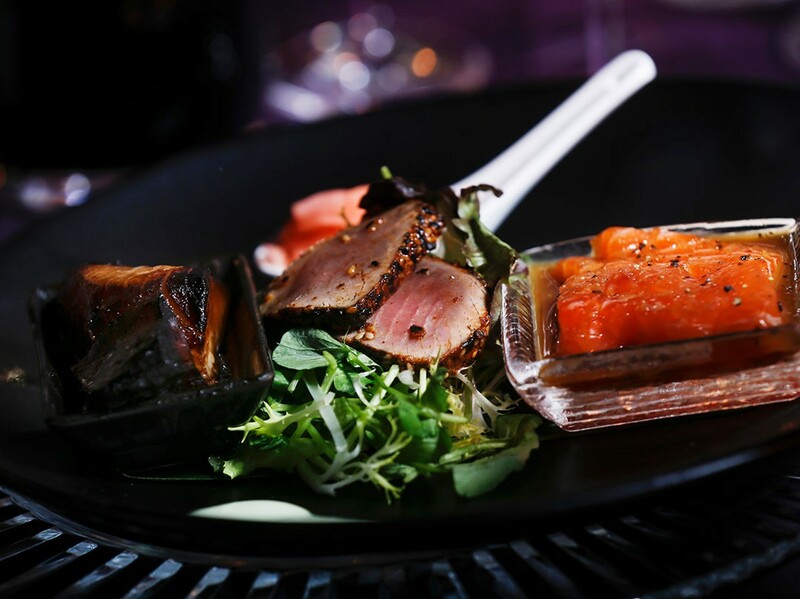 Following a drinks reception of delicious beverages and mouth-watering canapés, the guests were taken through to the dinner room, a space to make jaws drop. 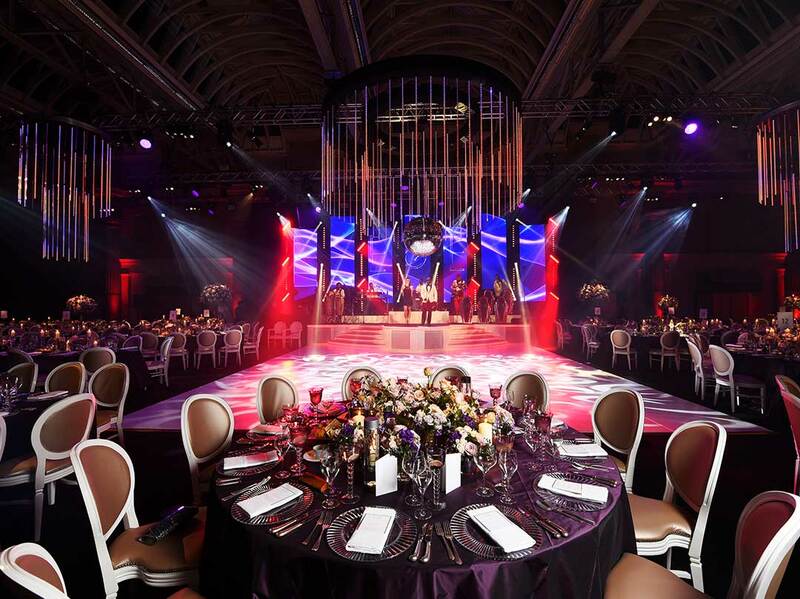 A bespoke dance floor, chandeliers used on television sets and an excellently designed stage formed the focal point of the room. 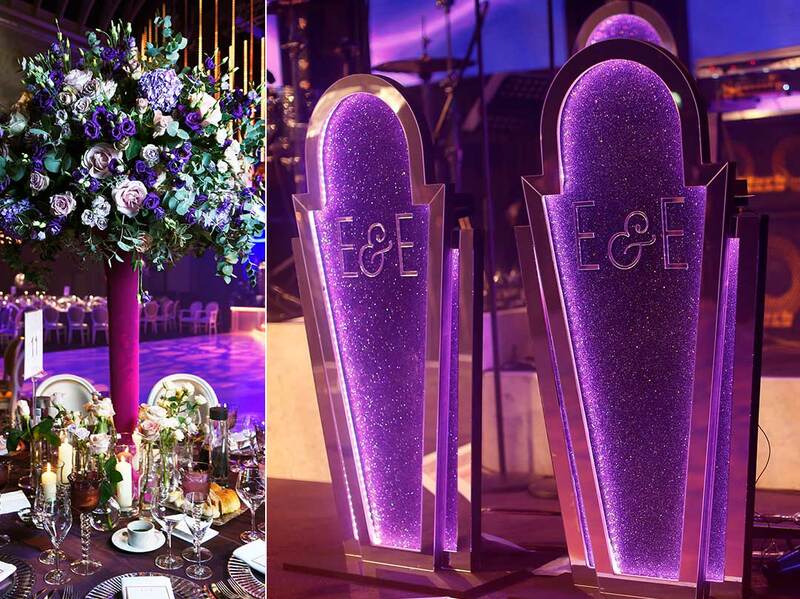 The table décor and florals complemented bespoke table shapes, the stationery was beautifully classic and the combination of colours just stunning. 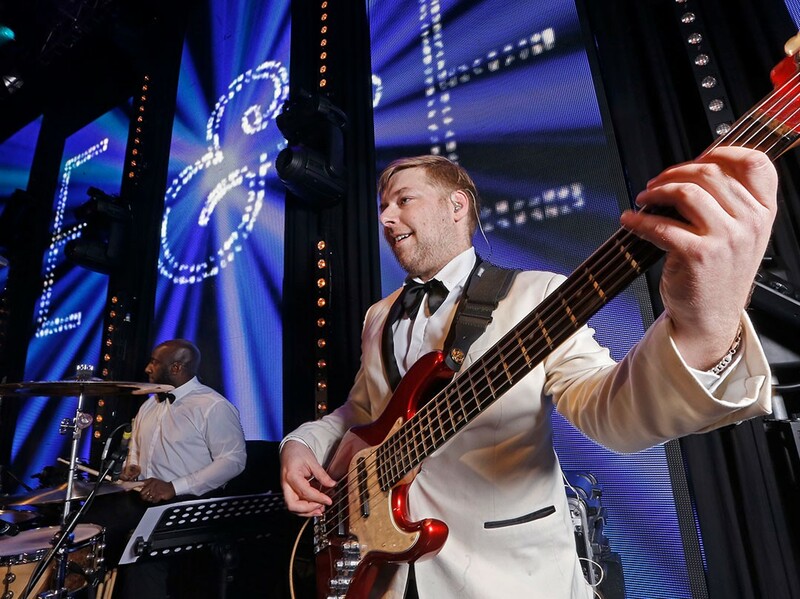 There were endless areas of detail and design to notice, with the unique stage backdrop of the bride and groom’s initials in lights, as well as the music stands displaying the same level of personalisation. With a stage like this, it was only right to have an exhilarating show-band to fill it, and that is exactly what we organised. 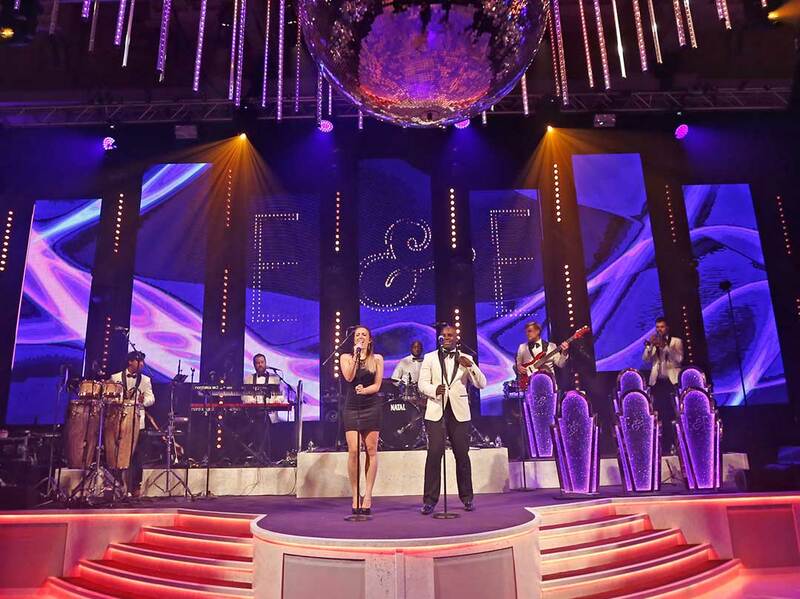 The music, lighting and visuals kept guests partying throughout the night. 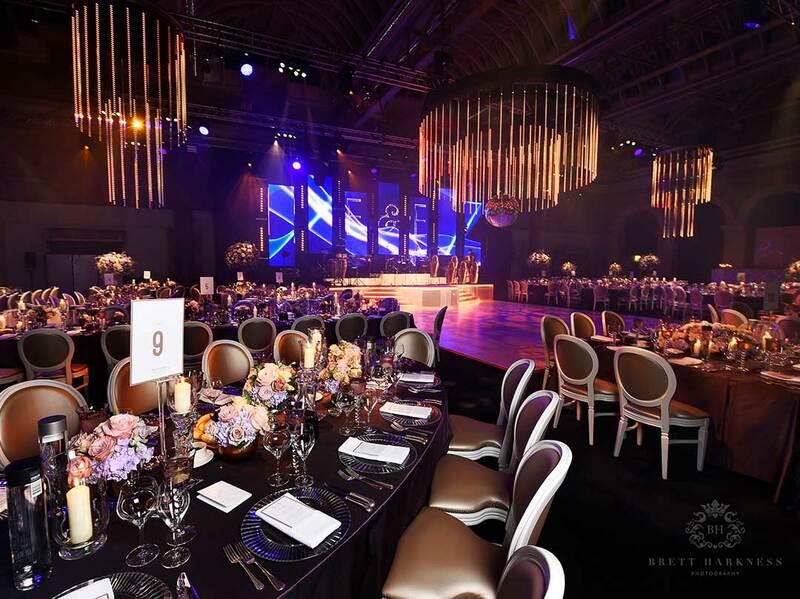 Every aspect from the production to the venue, the entertainment to the stationery was expertly managed by the JustSeventy team and there was the continual assurance that all was going exactly to plan. This stunning London wedding was nothing short of a roaring success with both the families and the bride and groom coming away ecstatic at their special day.